A clean installation of Windows XP is a great option to consider when choosing an installation method. A clean install wipes the existing hard drive and formats it according to the operating system specifications. This is also known as reformatting. 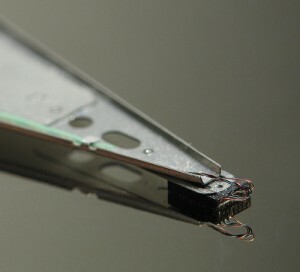 There are many reasons to reformat a hard drive, like for free computer maintenance. Upgrading from an existing operating system such as Windows 2000 can create compatibility issues with some software. A clean Windows installation ensures that none of the previous software or files associated with the old operating system are left on the hard drive. Always ensure that you meet the necessary disk space and system requirements to install Windows XP. Place the Windows XP disc into the disc drive of the desired computer. To boot from the Windows XP disc press any key, however if you are not prompted, restart the computer and enter the BIOS. Change the boot device priority to the disc drive. Now that you are in the BIOS, locate boot device priority. Select the CD-ROM as the first priority. Save and Exit the BIOS. Restart the computer. The computer will prompt you to press any key to boot from disk. Press any key. Hit “F8” which confirms agreement to the EULA. Pres “Enter” once more to set up Windows installation on the hard drive. Select the option to partition the hard drive using the NTFS file system. Press “Enter.” There is also a quick version option, DO NOT select it. Windows XP will begin to copy installation files to the hard drive now. After the files are copied, Windows will restart the computer. Upon rebooting do not press any keys to boot from disc. Customize the time and date. Click “Next.” Windows XP will continue installation and copy additional files. Another screen will appear. Click “Next” to keep the current default settings. Windows XP installation will continue. After it is finished your computer will restart and be ready for operation.